GMO Safety: How Safe is it to Feed My Family GMO Foods? Home Articles Is It Safe to Eat Genetically Modified Foods? Is It Safe to Eat Genetically Modified Foods? 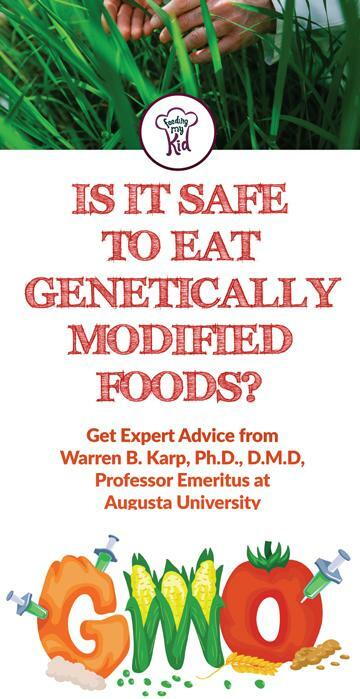 QUESTION: Is it safe to eat GMO foods? It is hard to tell exactly what you are buying in the produce department since all are not labeled if they are modified vegetables. What is your opinion on GMO safety? ANSWER: Animal and plant foods have been “genetically modified” for centuries. This has been done, in the past, by selective breeding of animals and by selective cultivation and pollination of plants. This process has lead to animals and plants which are more nutritious, more disease resistant and have higher yields. Today, it is also possible to genetically modify plants and animals in the laboratory using very sophisticated biotechnology and newly-discovered genetic engineering techniques. That is not to say that altering the genetic makeup of plants and animals by traditional selective breeding is identical to what is occurring in laboratory genetic engineering. It is not. Using biotechnology and genetic engineering, it is possible to cross the animal-plant division. We can insert segments of genetic material from bacteria and animals into plants and vice versa. This does not usually occur in nature; there are exceptions. This type of genetic engineering can be what we call “simple”…the introduction of one or two genes….or, in the future, it may be “complex”…the introduction of multiple genes and large segments of DNA. However, tomorrow’s genetically-engineered plants and animals will be more complex and contain multiple gene alterations. The safety of those foods still needs to be determined. There is no doubt that, in some parts of the world, where one food, such as rice, makes up the major part of the diet, that altering rice using genetic engineering can make the food more nutritious. Using rice as an example, natural rice is deficient in Vitamin A. Related: Vitamin Rich Foods for Kids. Easy to Follow Recipes. Because of this deficiency and because rice is the staple of diets in many countries, it is estimated that more than 3 million children go blind each year from a Vitamin A deficiency. However, Golden Rice, produced by genetic engineering, is yellow in color because the gene for beta-carotene has been introduced into the rice plant (beta-carotene is a precursor of Vitamin A and is identical to the yellowish-orange compound responsible for the color of carrots). 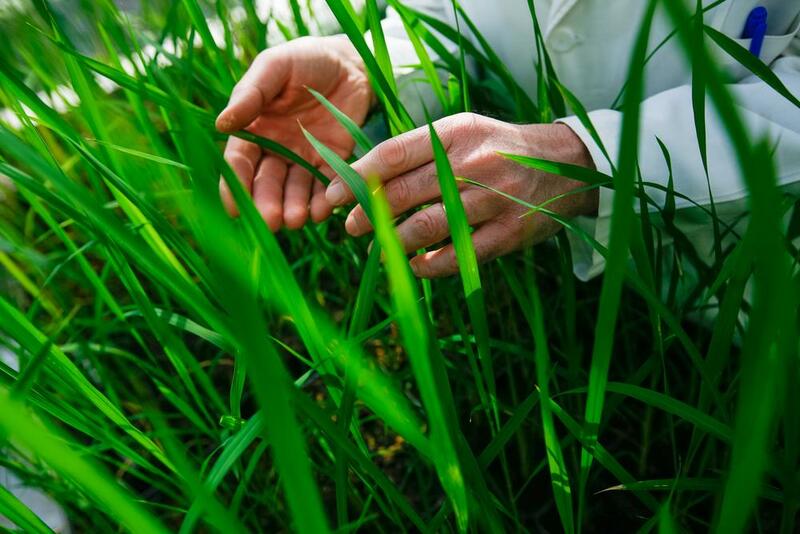 The ability of rice plants to produce this high Vitamin-A rice has been accomplished using genetic engineering….the introduction of two genes which allows the rice plant to make beta-carotene…a gene from daffodils and a gene from a bacterium. Using rice as an example, natural rice is deficient in Vitamin A. Because of this deficiency and because rice is the staple of diets in many countries, it is estimated that more than 3 million children go blind each year from a Vitamin A deficiency. However, Golden Rice, produced by genetic engineering, is yellow in color because the gene for beta-carotene has been introduced into the rice plant (beta-carotene is a precursor of Vitamin A and is identical to the yellowish-orange compound responsible for the color of carrots). The ability of rice plants to produce this high Vitamin-A rice has been accomplished using genetic engineering….the introduction of two genes which allows the rice plant to make beta-carotene…a gene from daffodils and a gene from a bacterium. 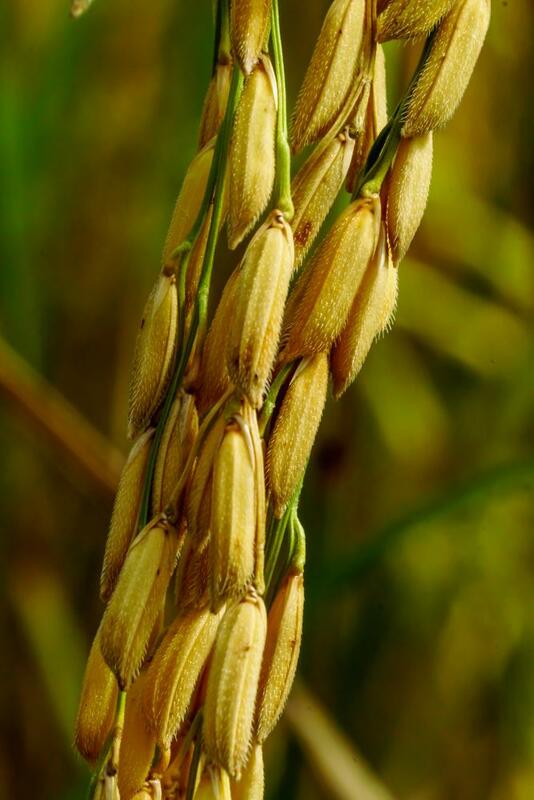 The ability of rice plants to produce this high Vitamin-A rice has been accomplished using genetic engineering….the introduction of two genes which allows the rice plant to make beta-carotene…a gene from daffodils and a gene from a bacterium. As you know, there are quite a lot of politics and emotionalism surrounding the use of genetically-engineered food, very similar to the politics and emotionalism surrounding vaccines these days. My evaluation is that, to date, the GMO’s on the market TODAY are safe and I would not hesitate to use these foods. However, this technology is in its infancy and the safety issues will need to be re-evaluated with the introduction of multiple, complex gene insertions or alterations. It is unfortunate, that there is so much irrationality and emotionalism attached to genetic engineering because it does have the potential for having major positive impacts on the world’s nutrition. It is not useful to run around like chicken little, but rather to proceed and evaluate this technology in a rational, scientific manner, as it develops. My evaluation is that, to date, the GMO’s on the market TODAY are safe and I would not hesitate to use these foods. However, this technology is in its infancy and the safety issues will need to be re-evaluated with the introduction of multiple, complex gene insertions or alterations. It is unfortunate, that there is so much irrationality and emotionalism attached to genetic engineering because it does have the potential for having major positive impacts on the world’s nutrition. It is not useful to run around like chicken little, but rather to proceed and evaluate this technology in a rational, scientific manner, as it develops. The nutritional issues associated with those diseases should be concerning Americans, not GMO’s. It is unfortunate that, today, food companies and “natural and health” supermarkets and stores are using the GMO safety issue for marketing and advertising. The result of doing this has been to reinforce mistaken ideas about GMO’s in the mind of the general public. This article was originally published on Dr. Karp’s Facebook page. 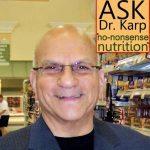 For more from Dr. Karp, visit his website. GMOs are common in today's supermarkets. 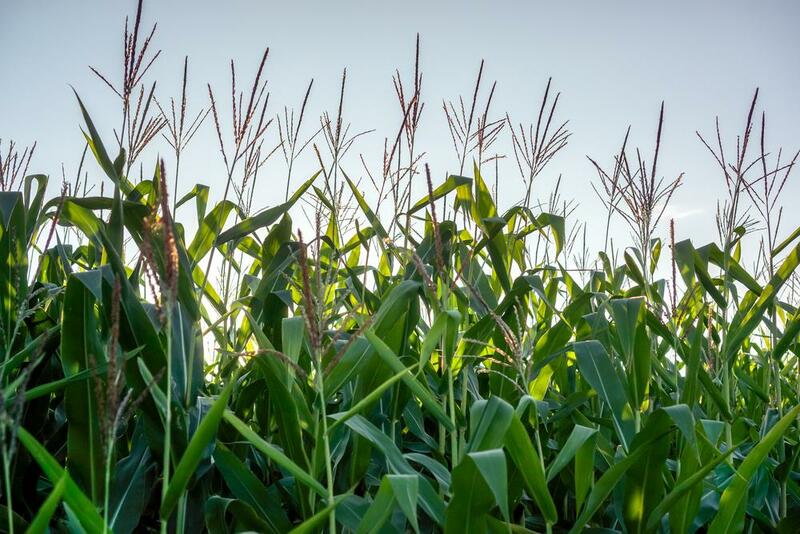 Are you wondering if eating genetically modified foods is safe? 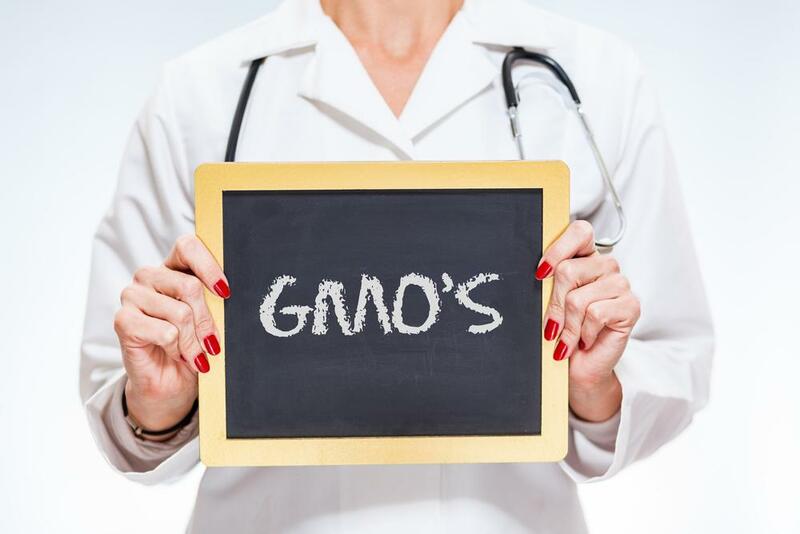 Read about GMO safety from a doctor's perspective. Previous articleMy Child Does Not Drink Milk. What Should I Do? Next articleIs What Kids Eat Really All That Important? Dr. Warren Karp Ph.D., D.M.D. is Professor Emeritus at Augusta University. He is passionate about teaching parents to feed their kids nutritiously as well as themselves. He believes that when you feed your children, you are also teaching them what to eat. Lifelong eating patterns begin in childhood. His website is filled with no-nonsense nutrition information for kids and adults. Warren B. Karp, Ph.D., D.M.D. is Professor Emeritus of Biochemistry and Molecular Biology, Pediatrics, Oral Biology, and Oral Diagnosis at Augusta University in Augusta, GA. He has a Ph.D. in biochemistry from The Ohio State University and a Doctorate in Dental Medicine from Augusta University. He is an elected member of The American Institute of Nutrition (Federation of Societies of Experimental Biology), The American Society of Clinical Nutrition and is past president of the Georgia Nutrition Council. He has served as Director of the Nutrition Consult Service at College of Dentistry for over twenty years, appointed to the Governor’s Obesity Taskforce and served as Vice Chair of the Columbia County Board of Health.